Women with endometriosis who have been unable to get pregnant may have a more successful outcome by taking bee propolis, according to a preliminary study in Fertility and Sterility (2003;80:S32). This is encouraging for the millions of women with endometriosis who are suffering from infertility. In the new study, 40 women with mild endometriosis and primary infertility (i.e., they had never been pregnant) who had unsuccessfully tried to get pregnant for at least two years were assigned to receive 500 mg twice a day of bee propolis or placebo for nine months. Women taking bee propolis had a significantly higher pregnancy rate (60%) than those taking the placebo (20%). No adverse effects were reported by the women taking bee propolis. Endometriosis is a condition where cells from the uterine lining began to grow in other areas within the pelvic cavity. The symptoms of having endometriosis are generally adhesions, menstrual irregularities, painful periods, premenstrual syndrome, and infertility. The diagnosis can be difficult, since surgery is the only way to accurately identify endometriosis. Studies suggest that 7 to 10% of all women in the United States have endometriosis. It is the third leading cause of gynecological hospitalization and the leading cause of hysterectomy. Propolis is a bee product collected by the worker bees from the leaves and bark of trees; they particularly like poplar and conifer trees. Propolis, along with beeswax, is one of the main ingredients used to construct their hives. Test tube studies, although preliminary, suggest that propolis may have strong anti-inflammatory effects. Endometriosis usually a painful condition due to the body’s inflammatory response. Propolis acts as an anti-inflammatory, therefore reducing the pain. Several studies suggest that oral propolis is useful in treating the common cold and intestinal parasites. Other studies have shown that topical propolis helps against genital herpes, cold sores, dental caries, periodontal disease, and rheumatoid arthritis. If bee propolis increases estrogen why would it be beneficial for endometriosis when estrogen dominance is already the problem? Royal Jelly is a superfood with a superior nutrition profile containing 29 amino acids, lipids, vitamins, sugars, proteins, fatty acids, iron, calcium and acetylcholine (which transmits nerve impulses from cell to cell). This factor along with how phytoestrogens actually work to protect us from estrogen dominance are why Royal Jelly may be helpful for women with endometriosis. The very first question in our Herbs and Supplements with Estrogen Action Q&A addresses this question well. And our guide Clearing up the Confusion on Phytoestrogens may help with understanding how phytoestrogens protect the body. My wife started the propolis just this past month, we inseminated and she is experiencing early menstrual bleeding. Is this normal? Also your 60% rate is excellent but how soon after beginning the propolis before a pregnancy results? If your wife thinks she may be pregnant, she should stop consuming the bee propolis. There is no simple answer to this question. It is different for every person dependent on diet, health history, stress levels, existing health conditions or imbalances, the severity of her endometriosis. There are just too many variables to say for sure. No one can know with out a doubt that she will get pregnant, or when she will become pregnant. Hi my name is Mariya. I started taking royal jelly and bee propolis,seven weeks ago. I was not able to get pregnant in the past 16 years . Little hope 🙁 But since i started my face is so bad. Breaking out . Its not stopping my chin and forehead specially . Do you know why? It sounds like it could be some hormonal adjusting within the body as your endocrine system is being nourished. Sometimes when beginning a new product that supports hormonal balance the face may break out. If you continue on with this products and you feel like it is getting worse, you could try reducing the amount you are consuming or stop the product and see what happens. Be sure you are not allergic to bee products. i’ll be starting a regimen with bee pollen, propolis and royal jelly tomorrow. going on 11 years trying to conceive. i’ll let you know! What about Bee Pollen? I have heard some good things. Can you take this along with the other Bee products? Can you take it every day of your cycle? Bee Pollen includes polyphenols, enzymes, beneficial fatty acids, amino acids, vitamin complexes, chelated minerals and trace elements. Yes, you can take it with other Bee products and it is often combined with other bee products. We sell Alive Bee Power in our Fertility Shop which contains Royal Jelly, Bee Pollen, and Bee Propolis. 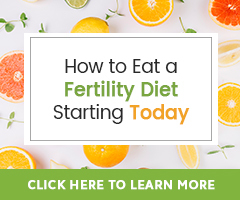 These are some of the best fertility super foods available. Alive Bee Power is a combination of the three, and is a great addition to smoothies or can be taken by the spoonful. It can be taken everyday of the menstrual cycle. Does one take the Bee Propolis daily throughout the cycle, including menstruation or only on certain days? Royal Jelly and Bee Propolis may be taken everyday, all days of a woman’s cycle. where can I find Bee Propolis? We sell Bee Propolis in our online Natural Fertility Shop. You can also find it at most health food stores.